August is the pinnacle of summertime. The time when vivid colours, hot weather and the term “summer holidays” come into their own. Many of us will be off to far off destinations to spend time in the sun, days in the sand and evenings cooling off in the pool. It’s a time when long, balmy days are spent catching up with friends, exploring newfound places and even having a sneaky ice cream (or ten!). Light, floaty summerwear is a must if you intend to survive the heat, plus pastel sorbet colours and exotic florals are on huge display! 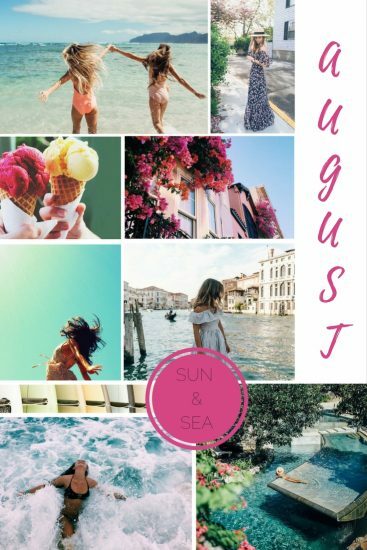 What is your favourite part of August?